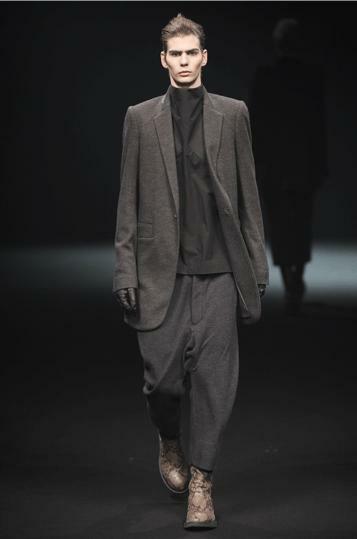 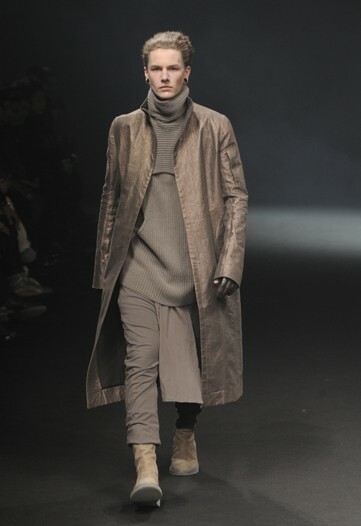 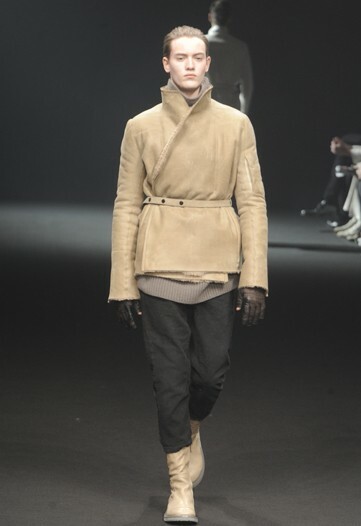 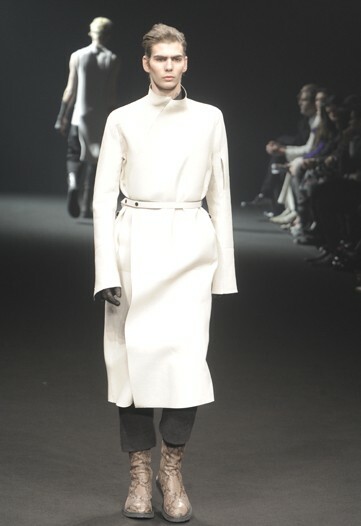 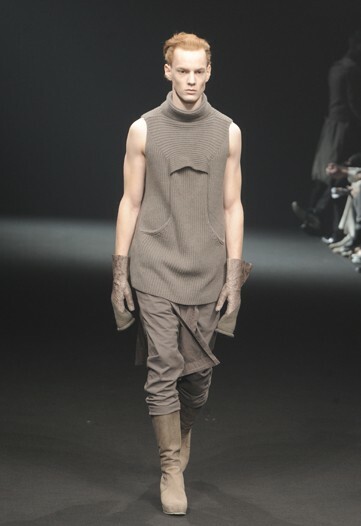 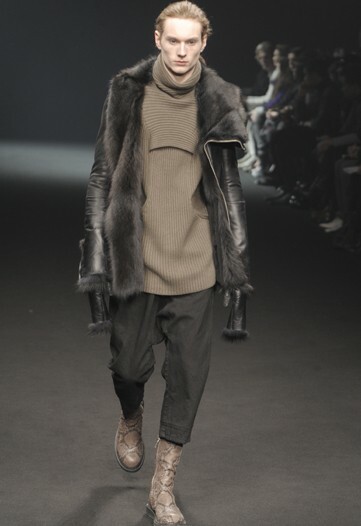 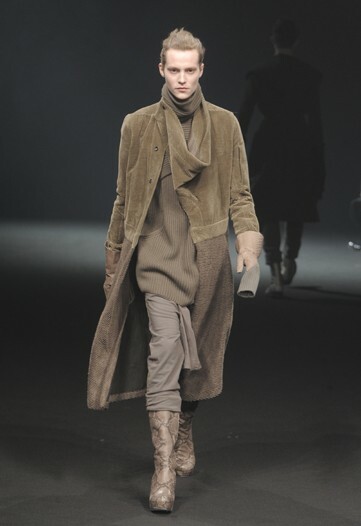 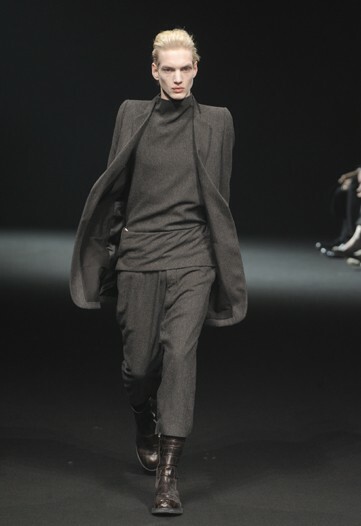 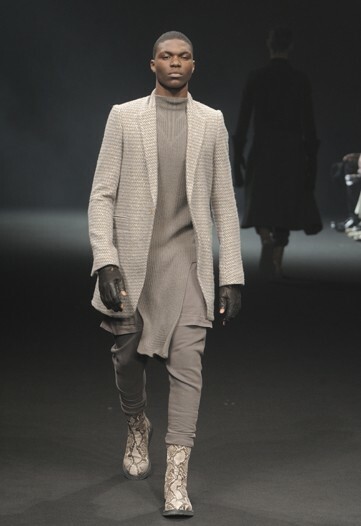 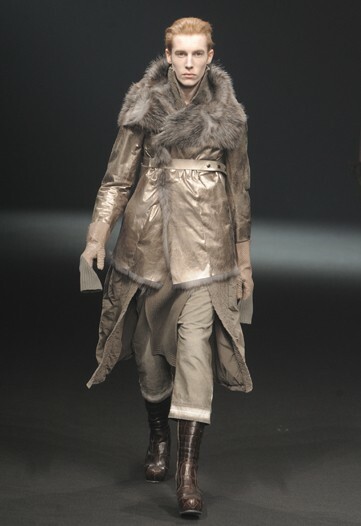 Rick Owens for me showed the best collection during Paris Men’s Fall 2010 fashion week. 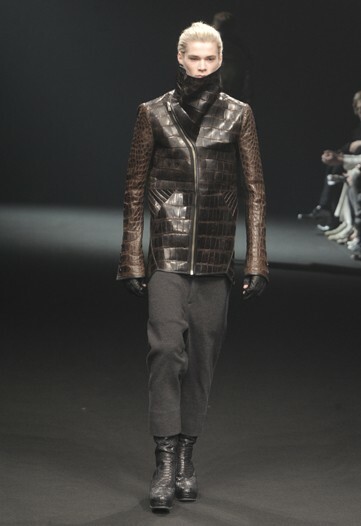 The designer who mastered the futuristic Goth aesthetic honed his design into more sophisticated tailoring. 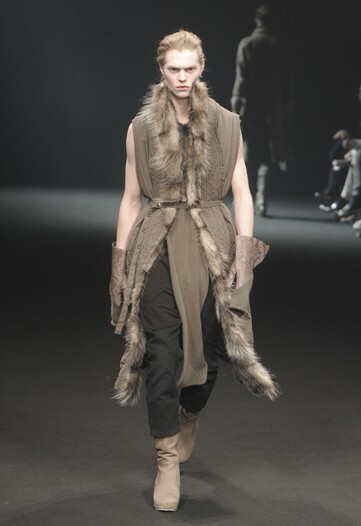 Since menswear most of the time is all about the jackets and coats, Rick Owens created a lot of magnificent coats with very industrial looking straight shoulders and material mostly in shearling, leather and fur. 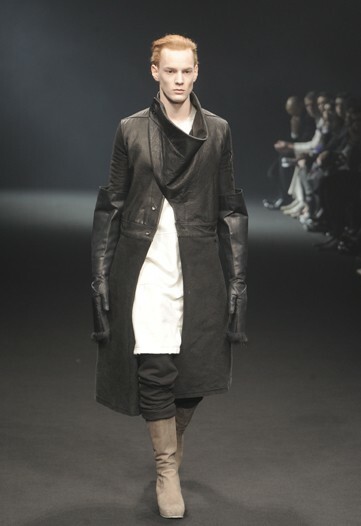 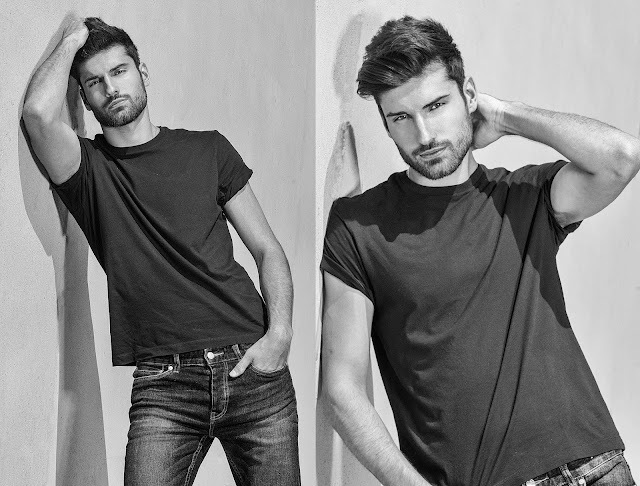 The collection is perfect combination of raw and sophistication.